The American pastor held in Iran for his Christian faith was seriously beaten at the hospital where he was receiving treatment and forced back to prison, according to his family. Pastor Saeed Abedini, 34, who has been kept in the hospital for the past two months for internal bleeding and other injuries sustained during previous prison beatings, has been transferred back to prison without any clear reason, Abedini’s attorneys told MidEastFaces.com. The ongoing Iranian nuclear talks with the West could be a possible motive, one of guards involved in the transfer told Abedini’s family. “This is an extremely disappointing development – one that breaks my heart,” said Naghmeh Abedini, Abedini’s wife, who lives in Boise, Idaho with their two children said today. Abedini was first checked into the hospital in March, when guards shackled and attacked him, threatening his life. At that time, he was also denied medical treatment and could not receive family visitors, according to Jordan Sekulow, the executive director of the American Center for Law and Justice, representing the pastor and his family here in the U.S. Sentenced to eight years in prison in January 2013, Abedini was charged with endangerment of national security for evangelizing in his homeland. Abedini traveled frequently back to Iran to visit his family, where he spent many years as a Christian leader and community organizer developing Iran’s underground home church community. On his last trip back, the Iranian government pulled him off a bus in September 2012, and said he must face a penalty for his previous work as a Christian leader in Iran. 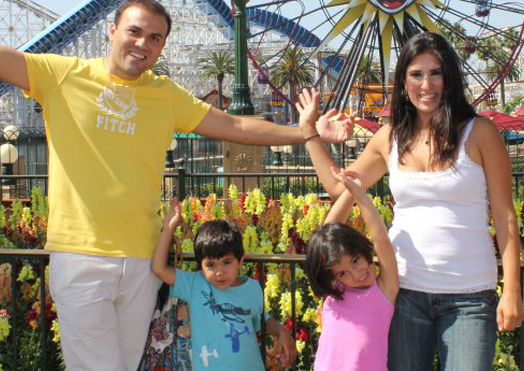 According to Abedini, he went to Iran to start a secular orphanage together with his family. President Obama, Washington lawmakers, the European Union and a host of international humanitarian groups have called on Tehran to release Abedini, but the Iranian government has so far declined their petitions.